John is a physicist and entrepreneur with a strong passion for translating fundamental discoveries into disruptive products. Adria is a chemist with a passion for enabling energy innovation and accelerating its development into accessible, transformative technology. Adria has a diverse set of experiences in the clean energy field, from policy development to technical research and management. 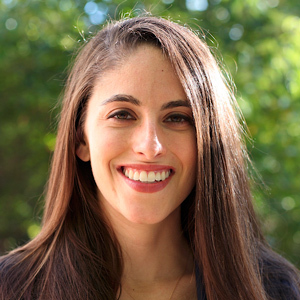 As a legislative fellow in the Washington, D.C. office of Senator Bernie Sanders, Adria developed legislation as part of the Senator’s energy and environment portfolio, including a bill to provide solar power to low income families. She joins Argonne after a role as a program manager with the Fuel Cell Technologies Office within the Department of Energy’s Office of Energy Efficiency and Renewable Energy. There she managed applied research and development projects aimed at advancing the widespread adoption of fuel cells, and was actively engaged in several EERE technology-to-market efforts, including the Energy I-Corps and SBIR programs. While at the agency Adria also developed several programs to increase the development of promising R&D into high impact commercial products, including one program to teach early-career researchers lean startup principles in a low-risk environment. Adria’s passion for energy innovation has also led her to engage with the DC innovation ecosystem as an entrepreneur. She participated in a Department of Defense I-Corps program, going through the customer discovery process for a NASA-developed sensor technology, and has experience developing her own energy harvesting technology. Adria earned her PhD in chemistry from Duke University. John is responsible for developing external business partnerships and collaborations on behalf of Chain Reaction Innovations. He has over 25 years of experience in small business and has worked at all organizational levels including leading research and operational teams as well as holding founder, CEO and CTO positions. As a serial entrepreneur, John has been involved with creating four new ventures and counting including Lybradyn, Proterro, Mesodynamics, and JL Biosciences and has raised over $15 million dollars in angel and seed capital. He is an experienced executive working in the biotechnology, fine chemicals, materials science and sustainable energy industries. John has lead teams that have successfully secured non-dilutive funding including SBIR and STTR grants which lead to the commercialization of products serving the biotechnology research, fine chemical production and chemical defense markets. For the last decade, John has provided consulting and advisory services to the venture capital community focused on technology and business diligence. In addition he has worked with startup businesses related to technology development and commercialization of technologies. John is an active inventor and has been responsible for discoveries leading to over 20 patents. He is also serves as an advisor and mentor having worked with entrepreneurs from Universities including Princeton, Northwestern, the University of California, Davis and the University of Illinois as well as Department of Energy programs including Argonne’s Chain Reaction Innovations, Lawrence Berkeley’s Cyclotron Road, and NREL’s Energy I-Corps and R2M Accelerator Programs. 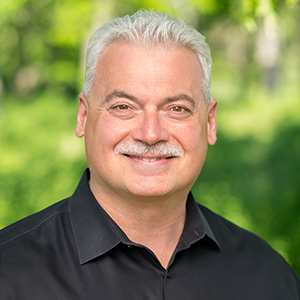 John is an advocate for sustainability and alternative energy having served on the La Grange Park Sustainability Commission. 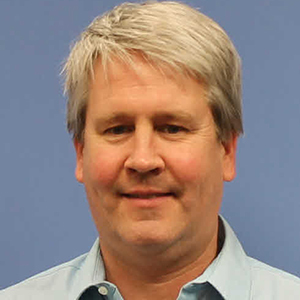 John holds a Ph.D. in Chemistry from the University of California, Irvine with postdoctoral studies in Biochemistry and Biophysics at the University of Illinois Urbana Champaign. As CRI’s Strategic Operations Lead, Deena provides guidance in all operational aspects for CRI, including CRI policies and procedures, event coordination, Innovator operational requirements, and Argonne request processing. Deena is passionate about the research that Argonne conducts and supports. She sincerely believes in the CRI mission to enable innovators to launch new technologies into the market by accessing the unique and powerful resources of a National Laboratory. Deena joined the CRI team in October 2018 after eight years at Argonne’s Advanced Photon Source (APS) as the Argonne User Agreement Specialist. While at the APS, Deena was responsible for maintaining over 1,300 of Argonne’s legal user agreements, replacing more than 500 legacy agreements with updated versions in a single year. Deena played key roles in multiple special projects including coordinating efforts to create an APS User emergency notification process, analyzing systems and cross-referencing processes with various DOE National Laboratories, updating and implementing procedures as needed, and developing an internal audit process to ensure legal agreements were managed correctly. Deena also served as the liaison for the APS User Organization and Partner User Council prior to leaving the APS. 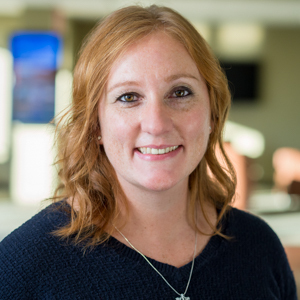 Deena earned her Bachelor of Science in Business Administration from Lewis University, and is excited to be completing her MBA at Lewis University in December 2019. 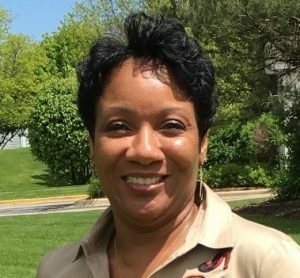 Wenora Johnson joined the Chain Reaction Innovations Team as Administrative Support in 2018. In this position, she provides administrative support for the CRI Director and Leadership Team. Wenora has a diverse back ground with over 20 plus years of administrative experience that includes working for the federal and local municipal government. Her diligence and professionalism has earned her recognition by Joliet Job Corps for establishing a Mentoring curriculum for youths enrolled in their student program. In her spare time, she also serves as a Healthcare Advocate and Peer Reviewer for DOD Healthcare Projects. Wenora earned her Bachelor’s Degree in Business Management from the University of Phoenix, while serving in the United States Navy as a Reservist for 8 years.